Proposer: Bert Weedon, OBE. Seconder: Len Lowe. The comedian and producer, Jack Seaton, was once described by The Stage as a comic of rare ability, 'demonstrating the borderline beyond which innuendo becomes mucky'. Born in Soho, he began his showbusiness career as an errand boy at the London Palladium. He became a friend of the Palladium's 'resident' comedian, Tommy Trinder. In fact, after Trinder's death in 1989, he inherited the comic's mass of memorabilia, which formed the basis of the biography written by Patrick Newley in 2008. Max Miller, another regular headliner at the Palladium, encouraged Seaton to become a comedian partly because he thought they looked like each other. Seaton's vision coincided with that of the British Music Hall Society: to keep alive the spirit of the music hall and its successor, the old-time variety theatre. To this extent, he had great success. One reviewer of his work commended him for 'doing more than anyone to prove that variety is alive and very much kicking.' As a compere, presenter and producer, he really came into his own only when he was appointed Chairman of the Music Hall Society in 1984. The Society was then in the midst of celebrating its twenty-first anniversary for which Seaton arranged shows starring Roy Hudd and the last generation of music hall performers, including the Irish balladeer, Cavan O'Connor, and the great singer of nonsense songs, Leslie Sarony. The Society's industrious archivist and historian, Max Tyler, told The Stage: "Jack was an excellent Chairman and worked very hard for the Society. When he assumed the chairmanship, the Society was going through a rough patch and Jack succeeded in pulling it through", Seaton branched out by producing lunchtime shows at the Palace Theatre in Cambridge Circus and others at the Hackney Empire, the Wimbledon Theatre and the West Cliff Theatre in Clacton. 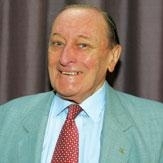 Jack Seaton, who was born on 12 July 1929, died on February 13 2011 at the age of 81.